This is a very difficult book to describe – it takes place in the San Francisco Bay Area and is billed as a kind of war between nature loving witches and tech savvy hipsters – both trying to save the world from falling apart but with very different views of what the end state should look like and how to get there. A great extrapolation from the current bay area residents! The stars of both camps happened to be miserable together as complete outcasts during middle school and may be falling in love even as it all comes to a head. Full of surprises, interesting characters, and tugs of familiarity. I didn’t really enjoy the first few chapters which focussed on the middle school start but loved it once they grew up and had lives and the real (to me) story started. Definitely worth a read. The latest Maisie Dobbs book (the 12th in the series) is every bit as captivating as the earlier books, after a couple of somewhat disappointing titles. Maisie is back on her home turf, tackling a set of disturbing murders that are rooted in events from the first world war even as England declares itself at war with Germany on the eve of the second world war. Winspear perfectly captures the mood of the time – children being evacuated, schools converted to hospitals and barracks, gas masks always at the ready, and the younger generation excited about enlisting while the older generation, still recovering from the losses of the first war, despair. I love the way the series has progressed through history, drawing from historical events to provide the motivations for crimes and I love her characters who feel like old friends. A perfect book. The story of a family – a real family – and the gentle unfolding of all of their lives. There are no major traumatic plot devices, just the very real and sometimes intentional events in anyone’s life. Their characters are drawn out in great detail with particular care to elaborate on their relationships with each other. I appreciated the lack of heavy handed messages – I could extract my own learning and make my own judgement based on my own values and perceptions. Each character had their own, presented in their own sections. We get to see, hear, and feel them all. Takes place in Portola Valley which was an extra bit of fun for me! I’ve seen Jo Walton books – mostly in the sci-fi sections – a lot and never before went to pick them up. 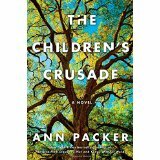 Seeing her speak on the Literary Tastes panel at ALA encouraged me to read the giveaway book – My Real Children. This book won the RUSA Reading List genre award for Women’s Fiction. Jo seemed a little surprised to be winning in that particular category but took it well. She talked about doing a lot of crossover fiction – fiction that crosses genres – in this case an alternative history that focuses on women and issues of interest to women (which is different than Women’s Issues with capital letters). This book was interesting to read – I like her clean narrative style. It didn’t have the emotional depth that I look for in fiction. It read like a wikipedia entry – many things to interest the brain but nothing that evokes feeling. I’m OK with this, but I miss the empathy. The plot revolves a woman sliding into dementia who remembers living two distinctly different lives that forked from a single decision about whether or not to marry a specific man. Jo handles this cleanly and does a great job of portraying these different worlds. There is a little bit of discussion as to how this one decision of one woman could have had such an impact on world events, but frankly I found that a bit hand-wavy and disappointing. Still, a good, imaginative exploration of some possible results of the decisions we make every day. I’ve owned this blog for multiple years now and am only now managing to make an entry – always hard to get started but perhaps it will come fast and furious now that I’m going! Fresh from two days of the American Library Association (ALA) annual conference in San Francisco. My shelf freshly stocked with ARCs and new titles. Already finished the first one: Crooked Heart by Lissa Evans. I loved it! Grabbed me right away with an opening scene of a ten-year-old boy in pre-WWII London worrying over his elderly godmother and guardian who was slowly losing her cognitive faculties. The nov el meanders from there – as life tends to do – exploring characters as they wander down surprising tracks, learning about themselves as they make do with what they have and the opportunities they create for themselves in their chaotic world. I hadn’t heard of Lissa Evans before – she has written books for both adults and children, some of which have been shortlisted for various prizes, but this is her first book to be published in the U.S. Thank you Harper Collins!